GYROKINESIS® Sit Down & Shape Up! Feel Good doing rhythmic, circular movements that boost energy flow, release tight joints, and improve posture & strength. 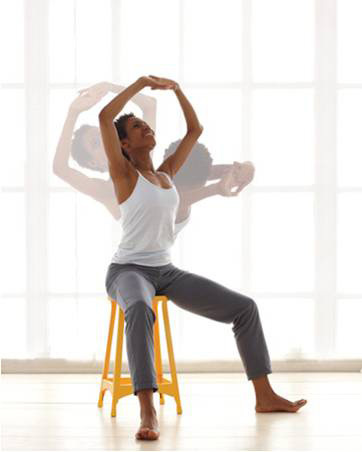 Prevention Magazine wrote “Gyrokinesis is a seated workout that combines the core-strengthening benefits of Pilates, the grace of dance, the fluidity of swimming, and the energy lift of tai chi in one simple, dynamic routine.” Done seated on a stool with some floor and standing movement for balance. Suitable for all ages.